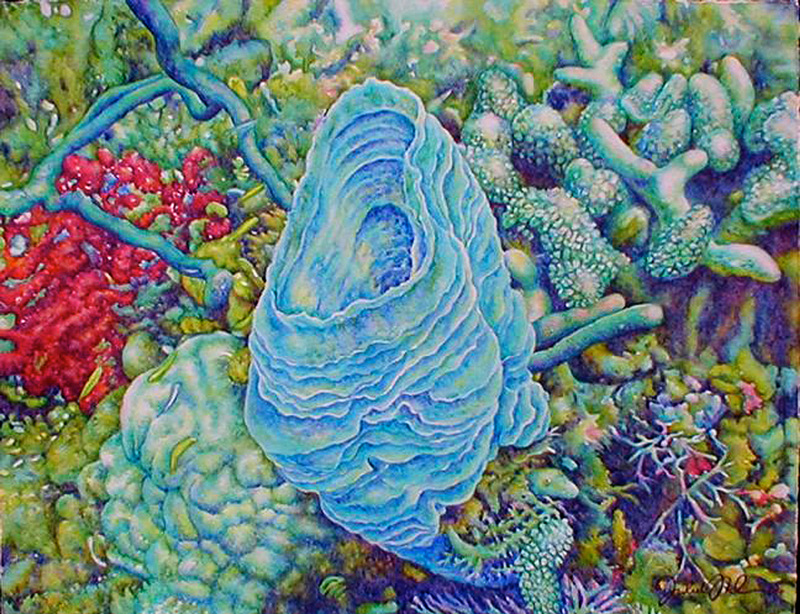 I love the sea and what really interested me about painting a sea sponge and various corals were the textures and colors of these underwater creatures. Being so different from what I normally paint, I thought I would give it a try. I found it to be quite a new experience and also another way to hopefully share my artists’ perspective with others. This is a limited edition of 250 giclée prints on watercolor paper. The original painting has been sold.